The seventh volume in this critically-acclaimed series is devoted to two works of Albéniz’s early maturity – both works were written when he was around 28. 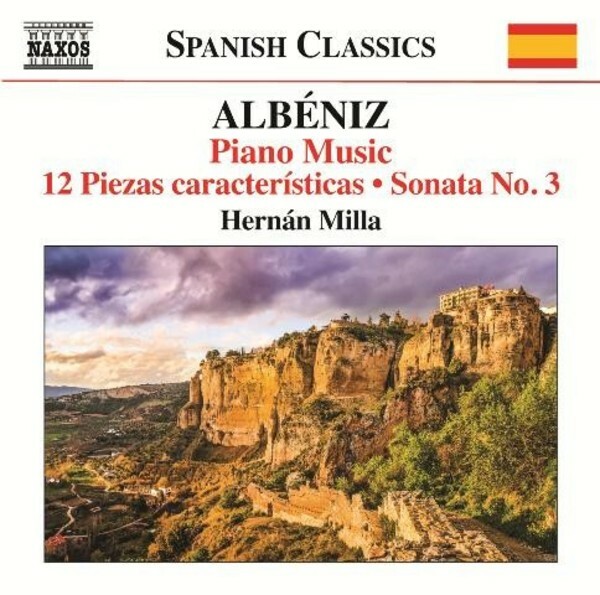 The 12 Piezas características is a cycle of exquisite miniatures encompassing a wide variety of styles, including the assimilation of Andalusian folk music into his own personal idiom, reminiscences of earlier greats such as Scarlatti and Chopin, and elements of nineteenthcentury salon music. The work led Felipe Pedrell, the father of Spanish musical nationalism, to call Albéniz not only a superbly equipped pianist but a great composer as well. The romantic and virtuosic Piano Sonata No.3 opens with a richly contrapuntal Allegretto, followed by a slow movement of the utmost delicacy in the manner of a romanza and concludes with a technically complex Allegro assai.